Oakridge London Ontario – Tired of looking at homes for rent that don’t live up to the hype? Is beauty and style in the eyes of the beholder? 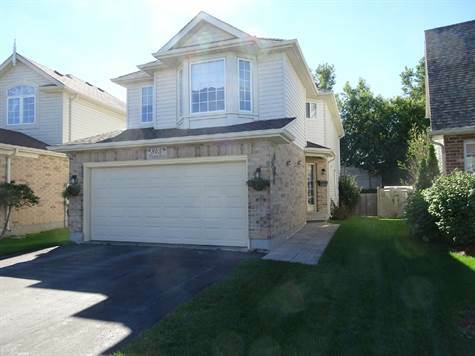 Solid beautiful 3 + 1 bedroom home in Oakridge on a quiet cul de sac, this 2 storey home is for lease only , not for sale. Presently being freshly painted and updates that include furnace, humidifier, central vac,light fixtures,landscaping, kitchen granite counter top and doors refaced, hardwood being installed on the second floor, light fixtures, 7 windows being replaced as well! Large master bedroom with a nice ensuite bathroom with a soaker tub! A separate dining room, living room, a family room with a gas fireplace and an eat in kitchen and laundry on main floor. Large rec room in lower along with a 4th bedroom. Over sized double car garage with inside entry. Beautiful fenced back yard with sun deck. Great schools such as Clara Brenton, St.Paul, Oakridge Secondary & St. Thomas Aquinas all nearby, shopping, churches and parks all near by. Here is your chance while in London to live in a great safe neighbourhood that you can call your home.